Our team of professional street artists break the mould and bridge the gap between street graffiti and street advertising. We have a number of exciting and visually engaging methods that we can use to create a bespoke campaign, especially for your needs, ranging from washable, environmentally friendly art to more permanent murals and physical installations. Chalk advertising is a way of having your message, logo, or web address spray painted onto the floor using only temporary chalk spray paint. Unlike using ‘normal’ spray paint, chalk spray paint can be completely removed from surfaces. We will custom make your very own detailed laser cut stencil. Artwork and text can be provided by yourself, or we can design a stencil for you. 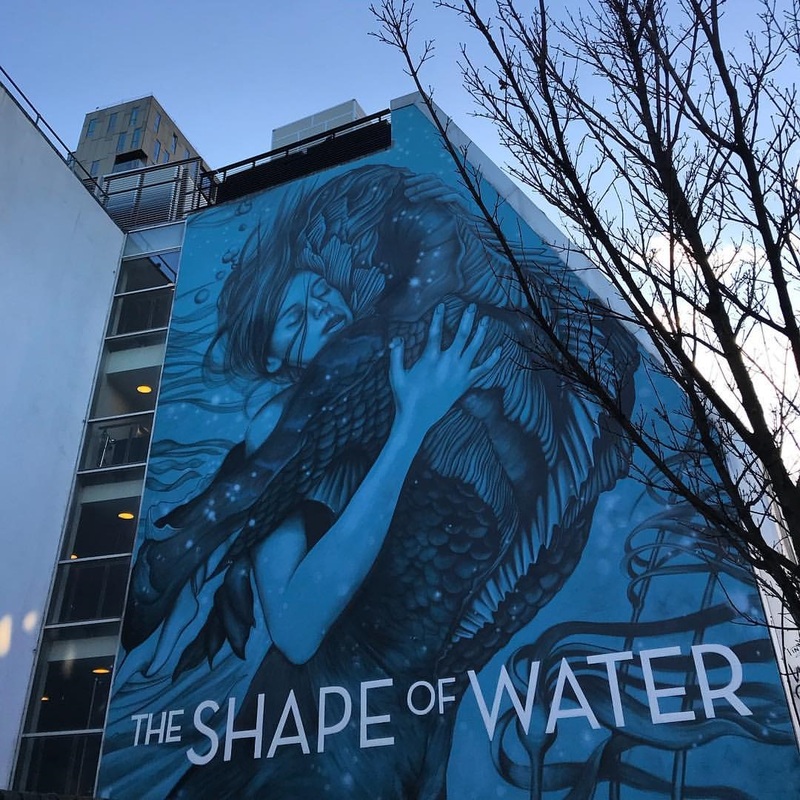 Our team of professional street artists can stencil your advert onto specific locations, with high footfall, for the general public to interact with. 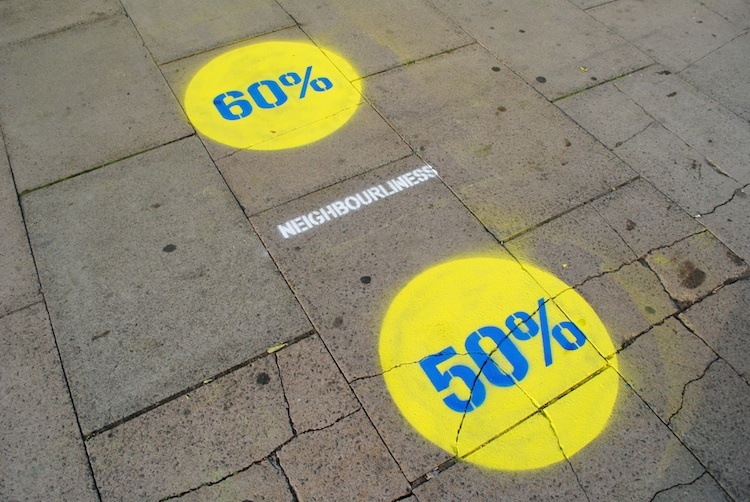 The chalk advertising lasts up to to 3 months and can be removed easily. 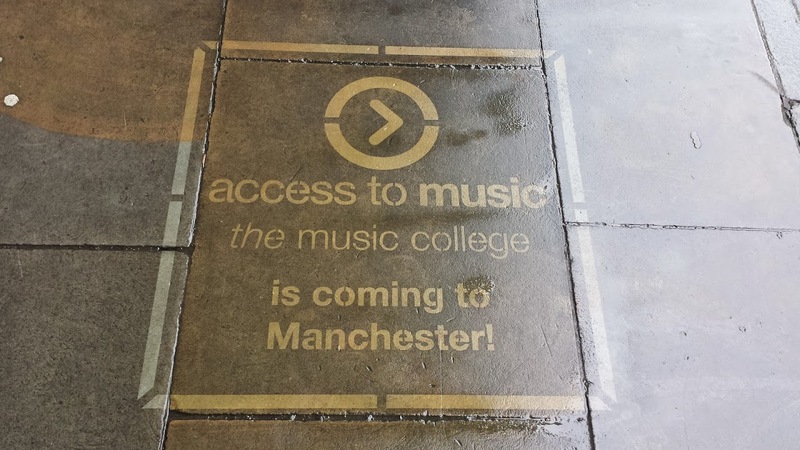 Similar effects can be achieved using our Pavement Vinyls. They can be printed in any colour or shape and can be placed and removed easily without causing a mess or leaving behind residue. 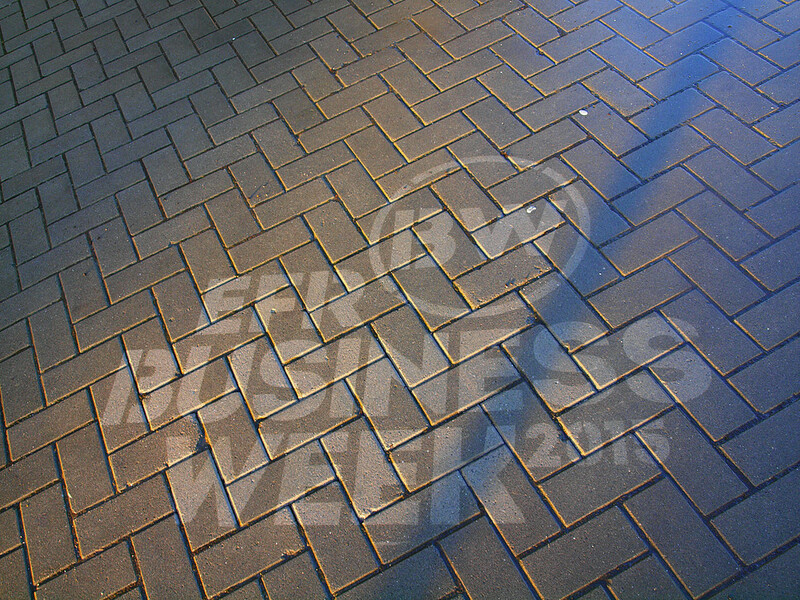 Clean advertising or reverse graffiti is a natural, temporary eco-friendly advertising solution. We take your advert and clean it onto dirty pavements and walls with pressure washers in targeted locations to leave a reverse, clean impression. We will custom make your very own detailed laser cut stencil. Artwork and text can be provided by yourself, or we can design a stencil for you.